In this tutorial, we'll learn how to make Photoshop your default program for viewing and editing photos on a Windows PC. Even though Photoshop comes with a great file management and organizer program called Adobe Bridge, many people still use Windows itself to locate and open their images. The problem is, by default, Windows doesn't open our images in Photoshop. Instead, it prefers to open them in Windows Photo Viewer. Or it may be opening them in some other program you've installed. Since Photoshop is obviously our image editor of choice, let's learn how to easily configure Windows so our photos will automatically open in Photoshop every time. Open a folder in Windows that contains some images. Press "Alt" to view the menu bar, then go to Tools > Folder options. Uncheck the "Hide extensions for known file types" option if it's selected. Click OK to close out of the Folder Options dialog box. 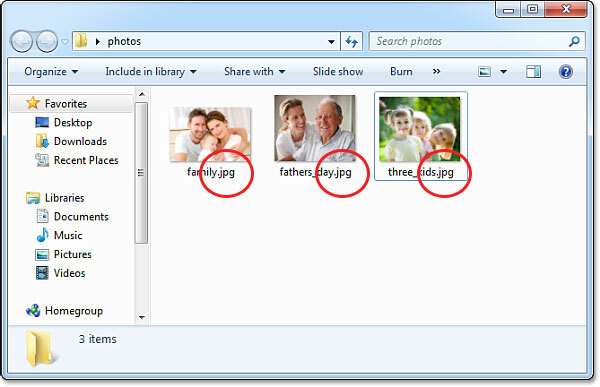 You should now see the file type extensions listed at the end of your file names inside the document window. Opening a photo inside the folder by double-clicking on its thumbnail. 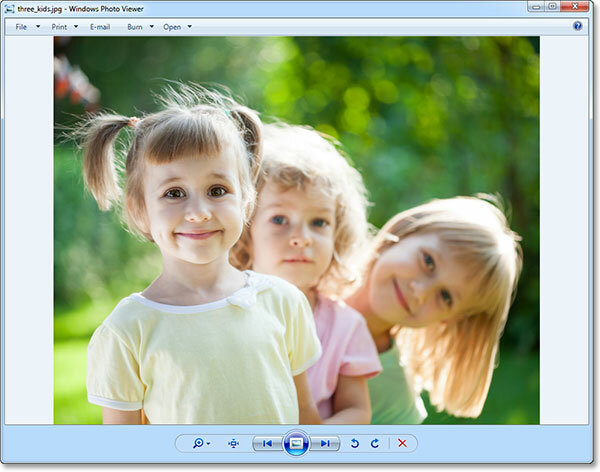 Windows Photo Viewer - great for viewing photos, but not much else. Closing out of Windows Photo Viewer. Right-clicking on the photo's thumbnail. Go to Open with > Choose default program. If Photoshop is not listed in the Recommended Programs section, click on the arrow to view more choices. Selecting Photoshop in the Other Programs list. Click the Browse button to manually locate Photoshop if it did not appear in either list. Selecting the "Always use the selected program to open this kind of file" option. 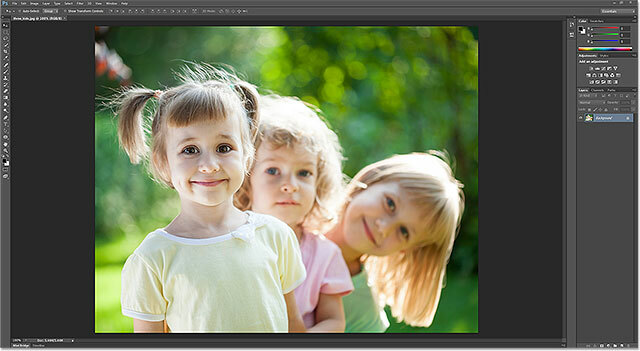 Your JPEG files will now open automatically in Photoshop. And there we have it! That's how to make Photoshop your default program for viewing and editing photos on a Windows PC! Visit our Photoshop Basics section to learn more about Photoshop!